Copyright Notice: THE POWERPUFF GIRLS, CARTOON NETWORK, the logos, and all related characters and elements are trademarks of and © 2018 Cartoon Network. 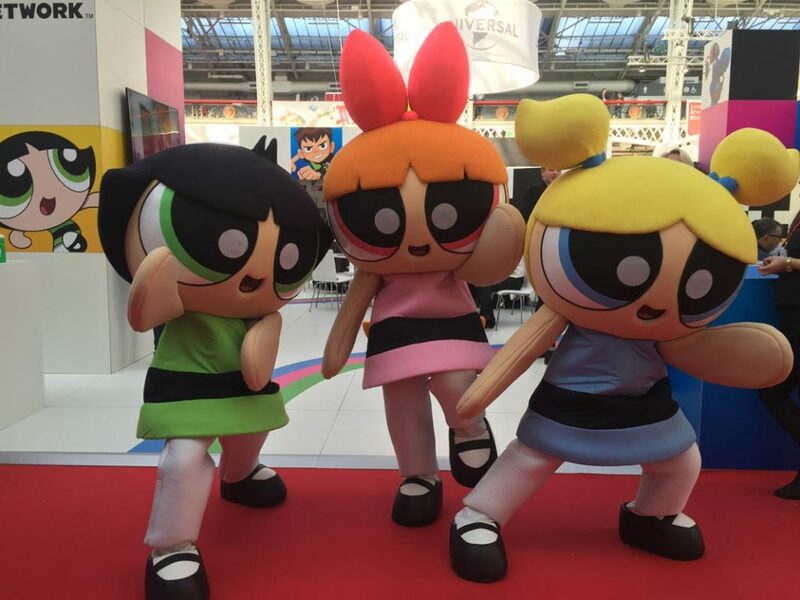 These are the official The Powerpuff Girls licensed characters, The Powerpuff Girls. 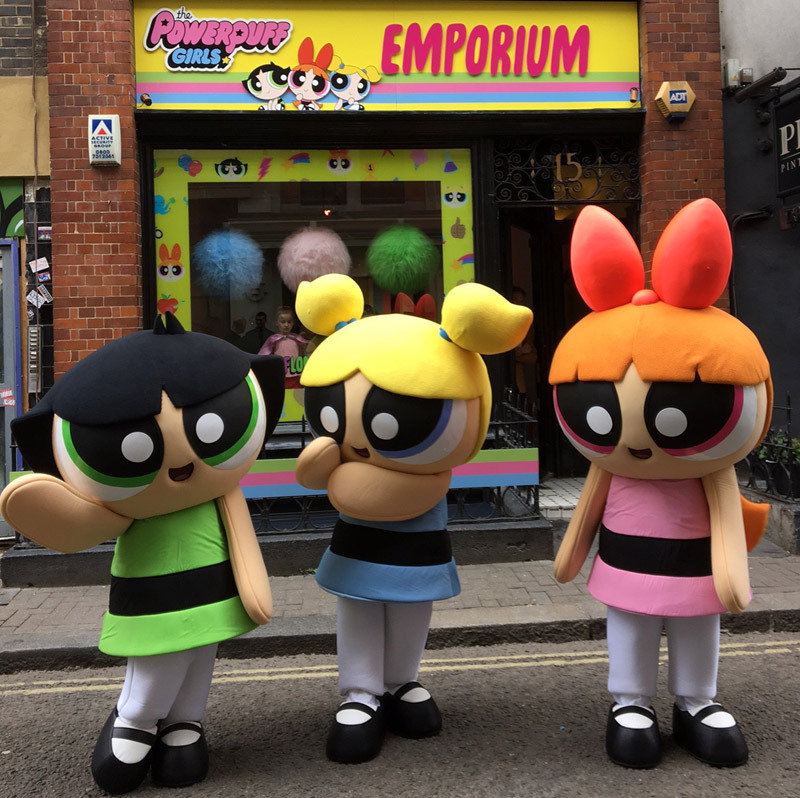 The Powerpuff Girls is an animated American television series focusing on three girls – Blossom, Buttercup and Bubbles – who fight crime in the city of Townsville. The Powerpuff Girls were accidently created from a mixture of ‘sugar, spice and everything nice’ by Professor Utonium in his lab. He was attempting to make perfect little girls and accidently spilled a substance called Chemical X into the mix. The end result:, the three girls were created, with each of their personalities embodying one of the above elements of the mixture. Blossom is the leader of the group. Her personality ingredient is ‘everything nice’. She is very strong, determined and considerate. Blossom is the most level-headed and often acts as a mediator between the other two girls during any arguments. She is able to freeze objects with her breath! Bubbles is the viewed as the sweet and sensitive one. Her personality ingredient is ‘sugar’. Despite being labelled as the nice one of the group, Bubbles is by no means a pushover and is quite capable of fighting monsters and criminals just as well as her sisters. Her unique power is her ability to emit supersonic waves with just her voice! She is also able to understand foreign languages and can communicate with some animals. Buttercup is the toughest of the three girls. With spice as her personality ingredient, she is very hot-headed adopting an ‘act first, plan later’ approach to fighting monsters. She is the only Powerpuff Girl without a superpower however this does not hold her back! The series is a revamp of the 1998-2005 television series. 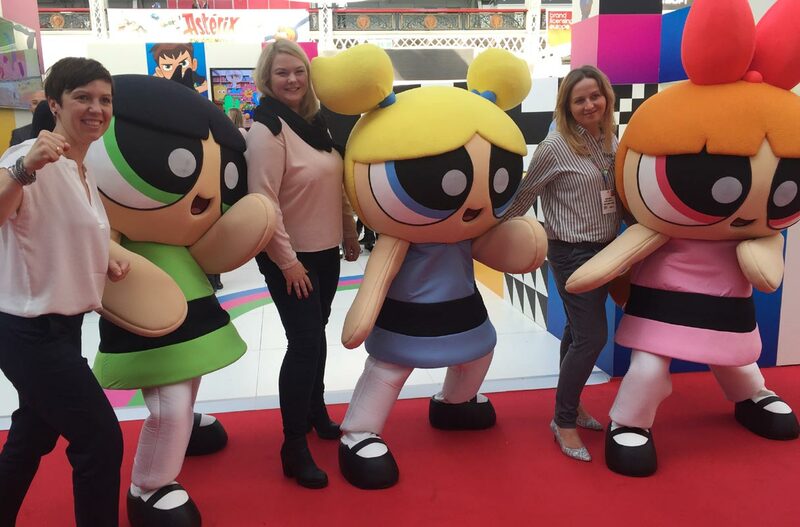 The new series gives an entirely new look for the Powerpuff Girls and premiered in the UK in April 2016 on Cartoon Network. A second series has also been commissioned. The new series received its first Emmy nomination for Outstanding Short Form Animated Program in 2016. The original series won several awards including a Primetime Emmy for Outstanding Achievement in Animation in 2005 and 2000. In 2001 the show picked up two Annie Awards for achievements in music score and production design.